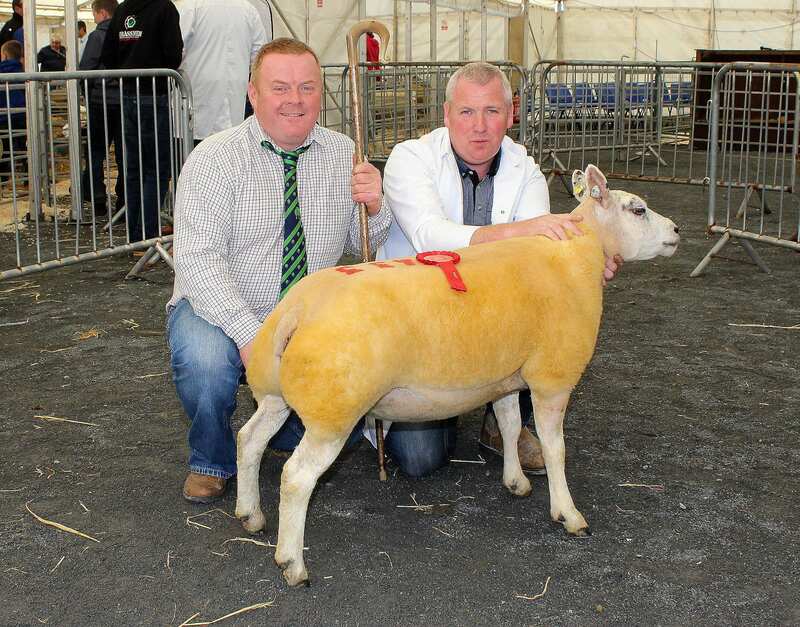 Ciaran O’Neill, right, with Hugh and Eddie O’Neill’s Show Champion, Lagyveagh Bullseye, Lot 418, and judge Brendan McQuaid. 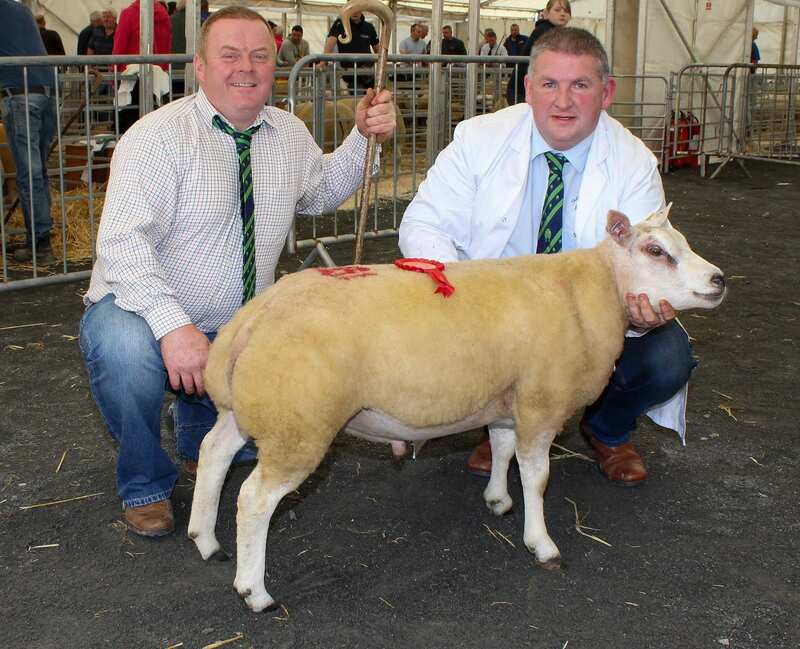 Eddie O’Neill with H & E O’Neill’s Female Champion and Reserve Show Champion, Lagyveagh Beth, Lot 433. 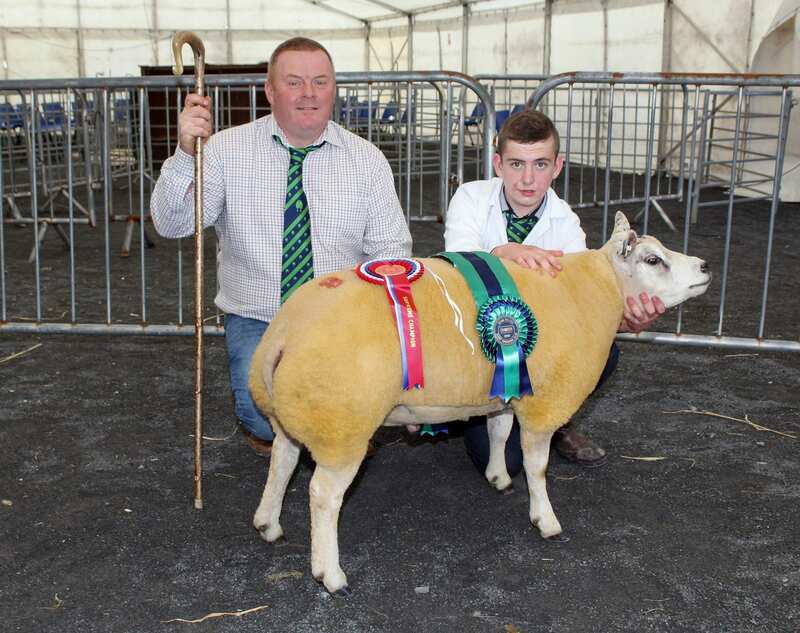 John and Eoin Donaghy with Coolough Bullet Train, Lot 408, runner-up in the Shearling Ram Class. 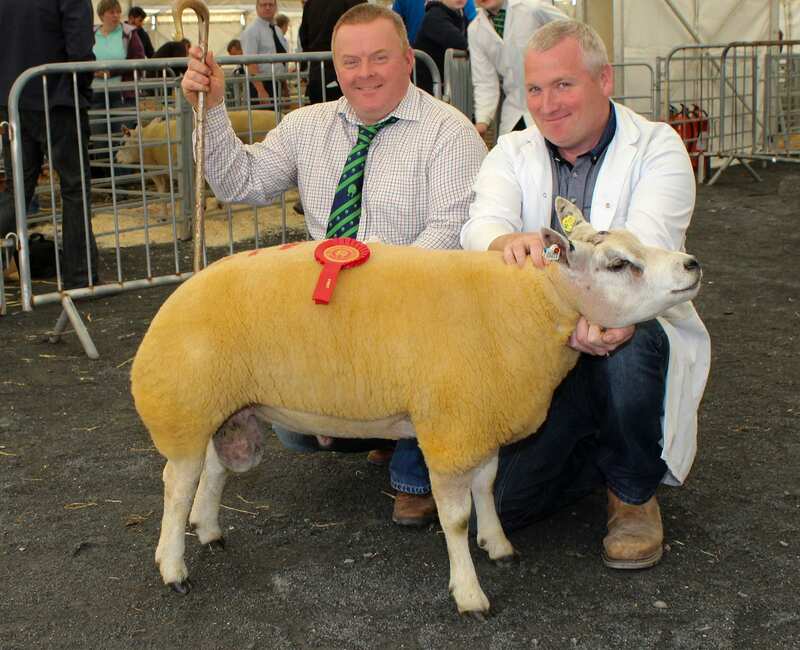 Kenneth Preston, right and judge, Brendan Quinn with Kenneth’s Ram Lamb Champion, Glenpark CJ ET, Lot 431. 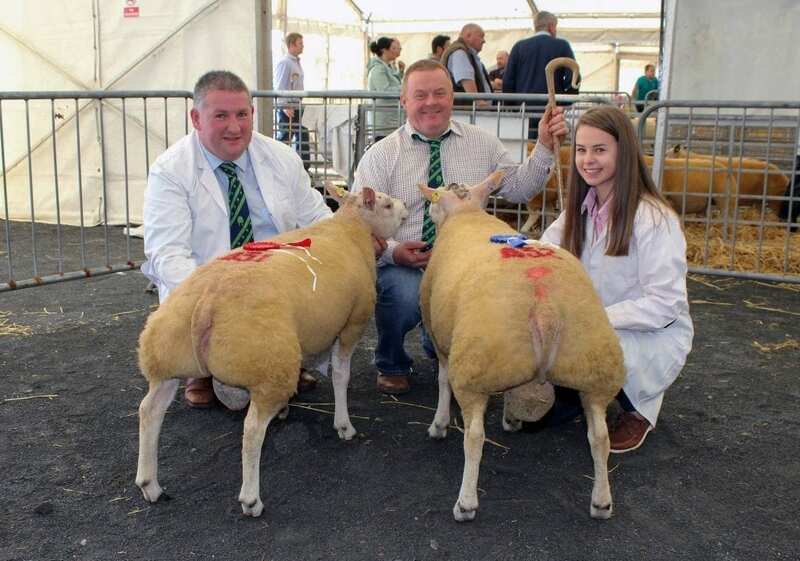 Kenneth and Zara Preston with their first and second placed Ram Lambs, Lot 431, Glenpark CJ ET and Lot 432, Glenpark Calum ET and judge, Brendan McQuaid. 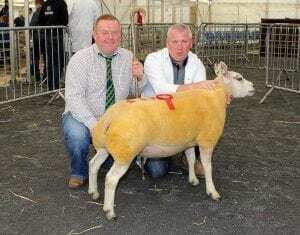 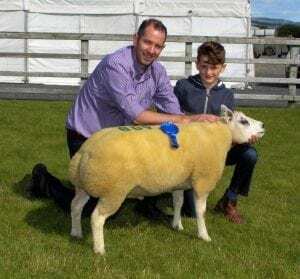 Eddie O’Neill and judge, Brendan McQuaid with Shearling Ram class winner, Male Champion and overall Show Champion, Lagyveagh Bullseye, Lot 418.